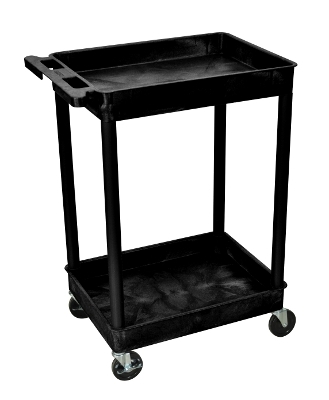 This STC11 cart is two tub shelves 18"D x 24"W x 37.5"H Clearance between shelves is 26". Easy assembly. Made in USA.